Booking a flight can be one of the most stressful parts about travel! 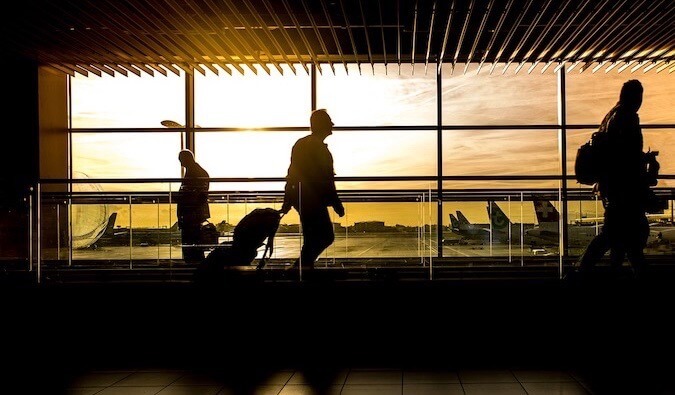 Airfare is expensive and, with variation in prices, we often worry that if we buy right now, prices could drop and we’d be the person who paid the most money for the flight. “Maybe if I wait just a little longer, prices will drop,” we say to ourselves. I used to spend hours upon hours searching for the right price. I’d search multiple websites, second-guess myself, and worry about what happens when the prices drop. I would hold off on buying, waiting for that perfect moment. It was like trying to time the market – it simply doesn’t work. 99 times out of 100, you lose out. On a recent trip from Austin, a one-way ticket on American Airlines was $206 USD. The next day it was $149 USD and a BETTER route. When I checked a few hours later, it was back to $206 USD. You can’t predict prices. The best day to book is usually today. As someone who doesn’t go a day without searching for airfare to regions all over the world, I can tell you that you can’t second-guess yourself. If you’re comfortable with the price you paid, you need to accept it and move on, even if airfare drops. In the past, I’ve explained how to finding a cheap flight – the theory and strategy to use when searching for a flight. Today, I want to show you how to put that into practice and walk you through how I book my tickets. First, I’ll look at deal websites like Holiday Pirates or The Flight Deal to see if there are any fare sales going on. Sometimes there are, most of the times there aren’t. After that, I start with the ITA Matrix, an amazing tool that allows for complex searching and that every flight junkie I know uses. While it only searches major airlines (no budget carriers here), it has a calendar option so you can see prices over the course of the month and provides a solid baseline on prices. 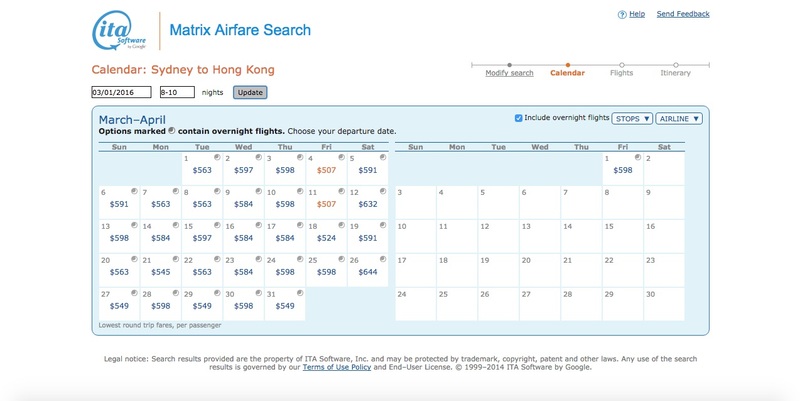 The cheapest flight to Hong Kong is $507 USD on China Airlines via Taipei for 10 days, though further research revealed a direct flight on Qantas for $524 USD. The cheapest flight to Athens was $698 USD on Turkish via Istanbul for 10 days (there are no direct flights). 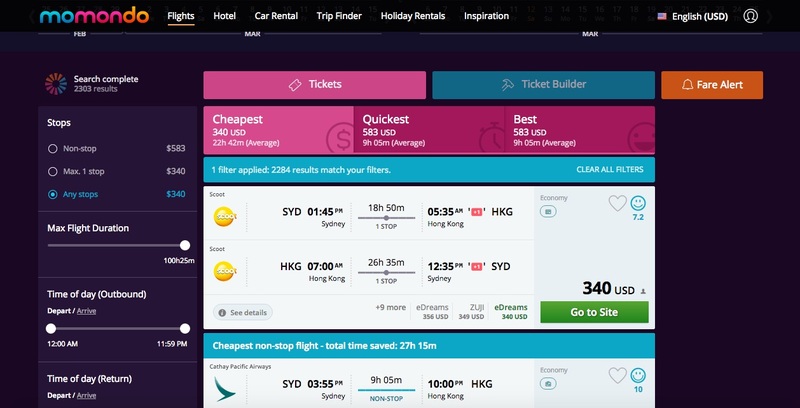 Next, I go to Skyscanner and Momondo to compare prices and see if there are any budget carriers flying the route I need. Both of these search sites brought up a much cheaper flight on the budget airline Scoot. You’ll also notice Momondo brought up a cheaper SYD-HKG ticket on the same flight. That’s another reason to check multiple booking sites. You might find a cheaper price for the same flight elsewhere! 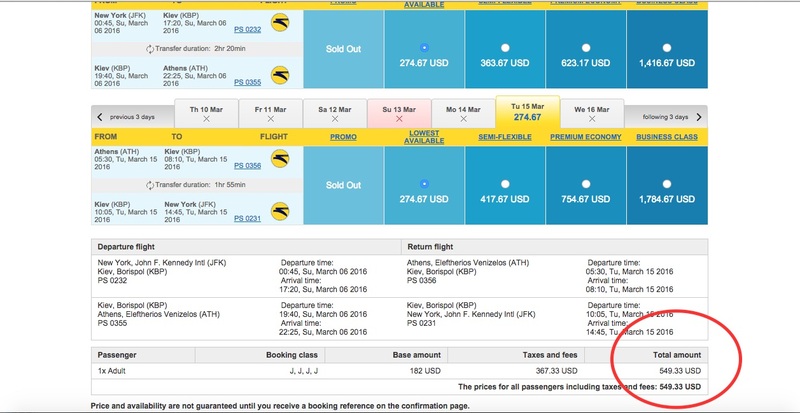 With the NYC flights, both Skyscanner and Momondo returned the Turkish Airways flight, though Momondo prices it cheaper at $657 USD. Next, I visit Google Flights to search regional fares. For example, if I’m flying to Athens, I’ll see what flights to nearby airports might be cheaper. It may be cheaper to fly into Paris and take a budget airline to Athens. Though you’ll end up booking two different tickets on two different airlines, you can sometimes save hundreds of dollars. I booked a flight to Dublin and then flew Ryanair to Paris, saving me $200 USD instead of taking a direct flight. On the Sydney-to-Hong Kong route, there are not a lot of alternative airports to choose from, so the $340 USD on the budget airline Scoot is the cheapest option we would find. That’s a big improvement. Next, I zoom out and look at the region. I see that leaving on the 6th there’s a $416 USD flight to Stockholm and then another $168 USD flight to Athens. Though this saves $21 USD, when you factor in immigration, checking into a new airline, possible delays, and your time, it’s not worth it. 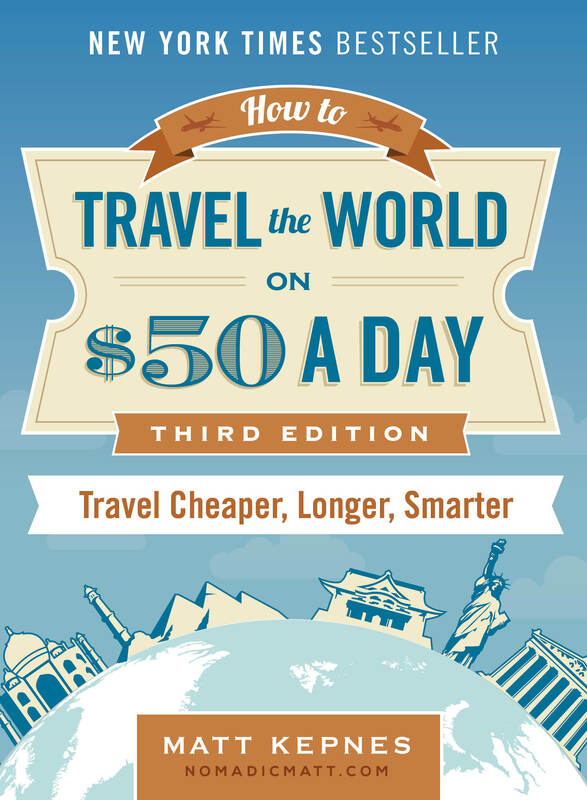 This doesn’t produce anything cheaper without extremely long layovers. I don’t believe saving $21 USD is worth an extra 20 hours in an airport. Though I have used this method to save money in the past, in this case, booking two separate flights isn’t worth it so I move on. You may wonder why I didn’t just go to the airline directly. Because the airlines don’t always have the cheapest flight. In this case they did but on the flight I just booked to Laos, Laos Airlines’ website was $50 USD more than what Momondo returned! After booking the flight, I make a note to check back in 23 hours as you have 24 hours to cancel a flight without penalty, so right before that time is up, I’ll clear out my browser’s cookies and do a quick search to see if the price dropped (see my Austin example above). I’ll either rebook or keep my flight based on what I find. After that, I don’t give a second thought to it, even if two weeks later there’s a sale or I see a cheaper price pop up somewhere. You can’t know the future or when a sale will come. You can only make your best decision with the information at hand at the very moment you’re booking. Maybe you’ll spend 10 hours searching to find some obscure website that is $5 USD cheaper. Maybe your flight will become $200 USD cheaper the next day. Maybe there will be a sale. Maybe the price will go up! In the end, it is not worth worrying about. First, you’ll be frozen with potential buyer’s remorse if you worry about future prices. You’ll never buy a flight because you’ll always be wondering “what if?” and, in the end, you’ll wait too long — and probably pay more. Second, how much is your time worth? Maybe I could search more, but I’d rather use those extra hours to enjoy life, plan a trip, work on my blog, or relax at the beach. My time is more valuable than a slight drop in price will ever be. If you’re spending more than an hour booking a flight, you’re spending too much time. This entire process from start to finish took me 40 minutes. After that, I went back to watching Narcos on Netflix. I never second-guess myself on flights. You’ll go crazy if you do. 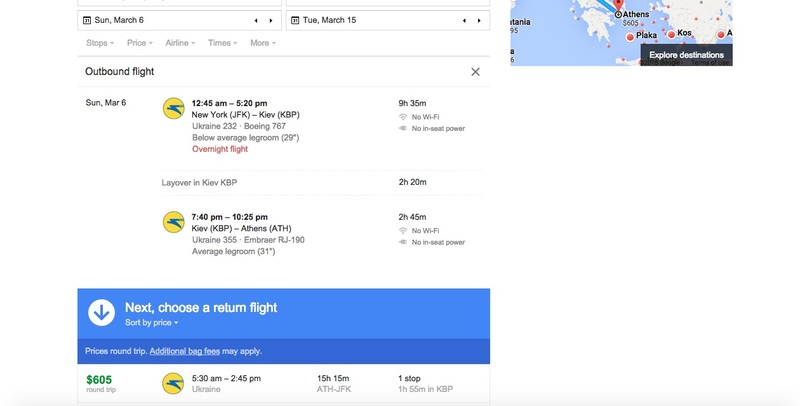 Spend 30-40 minutes finding and booking a cheap flight at a price you’re OK paying (Still too much money after all of this? Go somewhere else), and move on with your life. Want More Tips? Learn More of My Travel Hacks! Is the 24hr cancellation rule valid for all airlines from all destinations, or only to or from the US? Very helpful post Matt! Matt, just did a nice research I think. 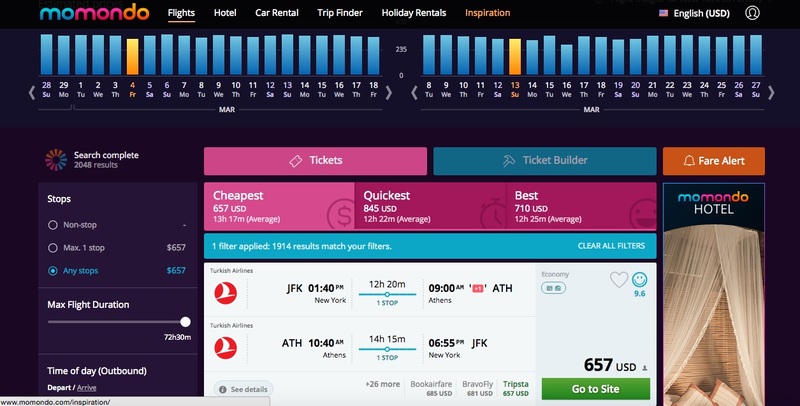 Compare prices two or three times before you finally book your ticket. After all, the more you search, the greater chance you miss it. Good post. I generally agree with your comment that “After that, I don’t give a second thought to it, even if two weeks later there’s a sale or I see a cheaper price pop up somewhere” but would add that fares on Southwest are a major exception to this general rule. If a booked Southwest fare drops after purchasing, you can rebook for free at the lower fare and keep the difference in credit. This is easier to arbitrage for one-way fares, where the drop in fare is straight-forward, rather than return trips where the fare in one direction must decrease but the fare in the other direction increases. Couldn’t agree more. You will drive yourself crazy if you look much more than this. Lots of people ask me for tips on booking flights and I always tell them once you’ve bought the ticket, don’t look anymore! This is my one hard and fast rule. Thanks Matt for such a comprehensive article. I used to use only Skyscanner but would consider using your method if that can save me any money. I want to book a flight from Puerto Rico to Milan in April 26 and return May 13 (can’t change the dates). What do you recommend? Should I wait or buy them now? And is it better to buy a roundtrip or a one way? I will also try it to book my airplane ticket. Thanks for helping us. I usually travel through Europe and when I am not using the train, I book my flights with Skyskanner or directly with Ryanair. It usually does the trick. Still, I will keep in mind all the other options. Thanks. This is good stuff – concise and compact. Thanks, Matt. I use skyscanner for comparisons, but am wary about booking with (what appear to be) 3rd party booking sites like justfly or Hop2. Do you use these sites, Matt? Any comments? Great advice, Matt! One thing I will say about Momondo (and any other site really) is you should always actually check the price by clicking on the website linked. I recently booked a flight from LAX to Auckland and I feel like 9 times out of 10 Momondo would tell me a price and then I’d go to the site and it’d be $200 more expensive. Not sure if that’s just an Air New Zealand thing or what, but it gave me a reality check when I thought I could get away with spending less than $600 on a one-way flight. Until I actually looked at the final prices. I did end up spending just under $700 and for that ticket I think it was a pretty good deal. I agree, when I’ve looked at booking flights before, sometimes actually going on other websites can tell you the complete wrong price, and you end up getting not what you paid for. So I agree, that sometimes its best to look on the actual airlines website first. Or check the whole way through. Amazing article. You have given lot of useful resources for travelers. Thank you! Good advice about booking flights and always remove the cookies from sites like Skyscanner , Kayak etc. I noticed a few times that the prices were going up everytime I looked and after I cleared the cookies, the price had gone down! I was wondering if you have any tips for finding cheap flights on a strict time schedule? I am not yet (will hopefully be by next year) one of those whom has flexible dates for vacations. Mine are normally leave Friday night after work and come home late Sunday night or very early Monday morning within the U.S. Let me know if you have any suggestions on finding the cheapest flights available! Sometimes looking for the cheapest flights can be a bit of a headache. Thanks for sharing this – booking flights should never be stressful! This is amazing! Definitely gonna be using Momondo in the future. This is so helpful, Matt. I hadn’t heard of the ITA Matrix and had just been using Skyscanner. I’ve pinned this to a luxury for less board. Great tips and excellent research. Skyscanner is usually my go to website for booking, followed by Google Flights. For the next flight we book I am definitely going to check after 23 hours to see if the price has been adjusted. We also just flew with Turkish Airlines and you could cancel and rebook without charge up to 2 hours before the flight! Great advice Matt, finding inexpensive flights online is a task that I always dread. I will definitely bookmark this for the next time I get a flight so I know I’m getting the best deal. Wow thank you for posting this helpful guide! I’m always the type of person who waits and hopes a fare will go down, so I won’t do that anymore. Thanks for the tips! Wow, I never even heard of these websites or programs I checked out ITA Matrix and found prices I never even could see. Excellent information again cant believe it still. Thank You! Thanks for your advise. I just got into traveling and these are the steps I already take to book my flights. Makes me feel like I’m doing something right knowing that I’m taking the same steps as an experienced traveler like you. You are right on when you say don’t stress over the price drop. That does end up driving you crazy. Thanks for taking time to write this article. Now I can just point my friends to your blog when they ask me about booking a flight. Good advice. I especially like the idea that you should buy your ticket and not worry if you could save $5 on some obscure site. It’s not worth the extra effort and you’ll eventually drive yourself crazy. Great post. I usually get all my information from Skyscanner. Didn’t know about Google Flights. Thanks for sharing! That’s also a good site. That’s very useful post. I would definitely follow these steps in future if i can save my money. This is really great a great way to get cheap air ticket. This is very important when you are on budget or you want to save some money. Thank you for the great tips! I will be checking out some of these websites. I’ve been using dohop.com when searching flights. Clean UI and a nice feature they call “self connect”. Have you ever used them? Can you explain why websites such as Kayak (which I’m familiar with) or others have cheaper flights than the airline website? I’ve seen this with IcelandAir and WowAir and am always concerned that the search site isn’t a legitimate price or booking. Is it safe to book through a search site rather than the airline? What is the worst that could happen? Airline pricing is dynamic and search sites often negotiate deals and discounts with the airlines so they can offer slightly cheaper rates. It’s a myriad of rules on booking fares and codes. Search sites are legit though but customer service on them varies based on the fare types they sell and how good of a company they are. Totally agree! I usually use skyscanner and because I live in Germany, I also use Opodo for general prices and then I check the airline’s website itself. Just in case. And then I go ahead and book it. We’re going to Spain & Portugal next Easter and I wasn’t expecting prices to be dirt cheap. And they weren’t! But I consider a flight with a scheduled airline from Berlin to Madrid for €130 one way, to be perfectly acceptable. I could probably get the very same flight with Vueling (Spanish no-frills airline) for €30.00 but when I took it for TBEX (Spain), I had a flight delay that resulted in me not only missing my pre-booked shared taxi, but also spending the whole night at Barcelona airport so yes, I’ll pass! Saving $100 – $150 may have its downside like having to fly Ukraine International as in your NYC-Athens example. For me that’s not a good deal. I’ll fly the extra to fly on a more trusted airline. I’ve flown them and enjoyed the experience. What’s not to trust about them? Matt … I use Momondo regularly; however, the companies that report the best prices seem like bucket shops. Quick searches on them usually find an inordinate number of complaints. Do you book with these entities ? Have you had issues with them ? Every bucket shop is different in terms of customer service but I trust the folks at Momondo to vet out the worst offenders. However, whenever I go through a cheap discount broker, I go in with the assumption that fixing an errors is going to be a pain. Great article! I only wish I had come across it earlier. 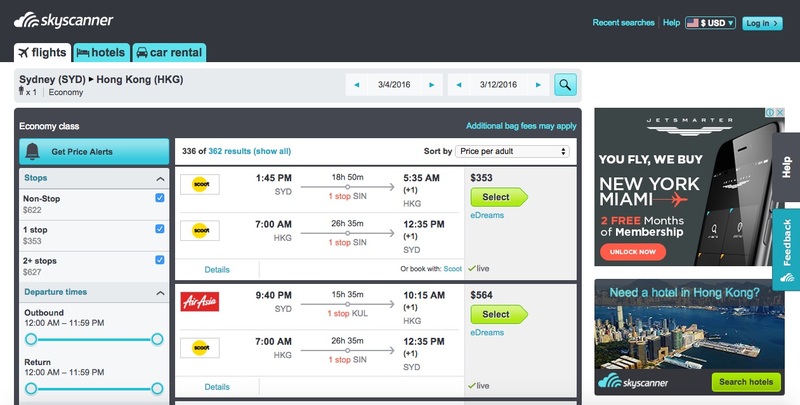 Not a big fan of skyscanner myself, but I will surely try some of these tricks next time I book a flight! Some tips i would give to people wanting to travel for cheap would be Be PREPARED. It might be obvious but buying your tickets way in advance can save you so much money and also traveling during off peak times e.g. school semesters as there will be less people available to travel so it should be less busy. I would also recommend opening multiple tabs and searching on different trusted price comparisons sites e.g. sky scanner or last minute.com and if your unsure if a site is legit you can type into google is …. site legit and then read peoples reviews on their experiences with the site. 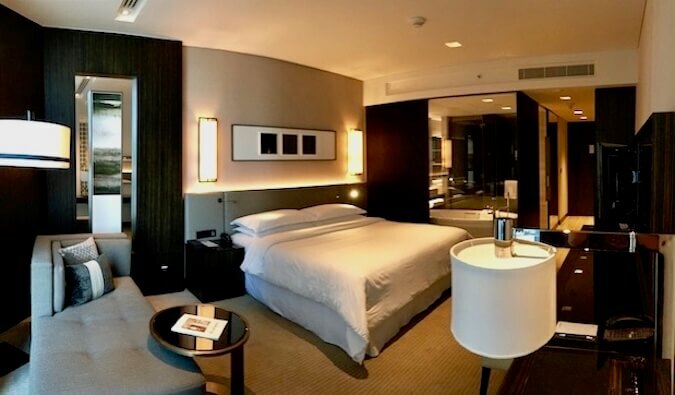 Booking a hotel and flight together may be more convenient but if you look around on multiple sites it may end up being cheaper the majority of the time. All I can say is that the ITA Matrix IS AMAZING. Even in cases where I have found a good deal through advertisements or through word of mouth, I always check with ITA and it either confirms the sale price for me or gives me a better deal. It is a bit complicated if you have to book different legs through various airlines, but overall with a bit of time and patience it works out very well. Momondo is the best low-cost booking flight website on my opinion… I always book there, but thanks anyway for this article. It’s very useful and gives a whole explanation of these resources. Husband and I got the AaDVANTAGE platinum card in the mail with a good sign up bonus . My concern from reading different blogs is that the AA awards miles have been devalued this year. Also, it is very hard to get flights on Partner airlines as well. So is it worth it . Any other card suggestions. This is very helpful. Everyone should compare prices and visit multiple sites before booking. That is a very helpful tip. People save lots of money by doing this. What is the best travel site? This was a really helpful blog, it seems like tickets are really expensive these days and can somewhat discourage traveling. This helps me know where to look and maybe I can find some cheaper prices now. Oskings travel is like a saviour for me. I wanted to go to Chicago urgently. And was not able to get the tickets from anywhere, then i called Oskings and they helped me to get the flights as soon as possible. Unbelievable. I mean i lost all my hopes but osking was great. Those companies are reliable. I never bother reading online reviews. You should see what people say about Expedia and they are super legit! Book your flight! 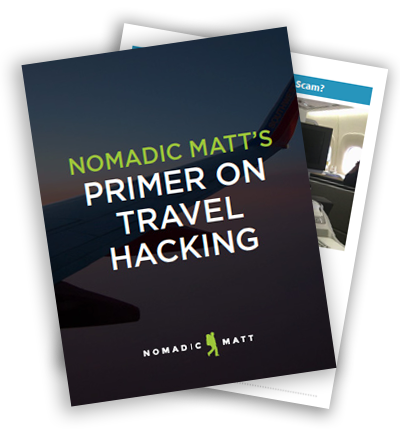 This is probably one of the most useful posts about travel hacking I have ever read. It is very common to find lists of search engines and companies but loved the way you guide us through! I always hesitate in one aspect…choosing the booking site. Have you ever had any bad experience with any of those listed in momondo or skyscanner? Or do you normally go to the airline website to buy your tickets? I’ve found that going to the actual discount airline gets you a better deal overall. I go to the airport website I want to fly out of, check and see where the discount airlines fly and go directly to their website to book flights. Or I go to the website of the airport I want to fly into and find out where they fly and do the same. I may have to fly into a different airport & use the cheaper Flixbus or Train to get to where I want to be. Its easier to book one way flights in Europe than the US. Training or Flixbus can add up to savings. Finding this is the best deal. Also goeuro.com is a great website that will show you how to travel by air, train or bus with travel times and changes within Europe. This site you shared its really good. offering Cheap Flights Ticket to Europe i had great experience in Last Trip. Why is the flight so much money from Orlando to Nashville Tennessee it’s only an hour and 45 minute flight I’m trying to go non stop? Mostly book on odd days and early morning flights have low price tickets. So It is another tricks we can use for cheap flight.Thanks for details about on this topic.Keep posting…. 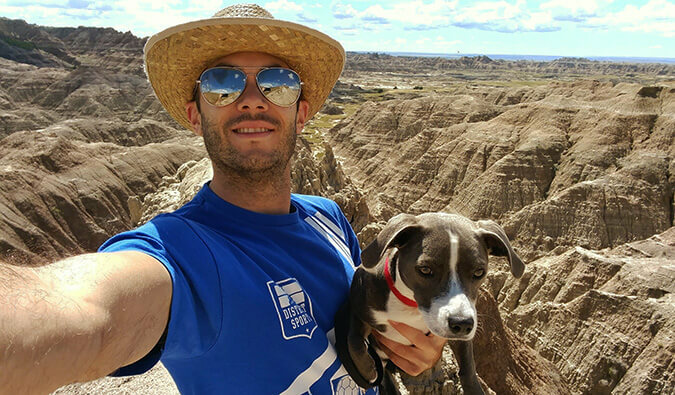 Great website, I’ve been using your site since last year when I booked my first solo trip. This year I was able book at $530 on AA round trip from Houston to Amsterdam . My buddy waited and prices jumped to $1400. Great blog, and thanks for all the information!! Interesting for me as if I use another search comparing site it will often look cheaper as it is divided by the number of people. The number of people in my booking will include a baby! So, sometimes it looks way cheaper but it is due to the per person amount posted! I love this blog post. Thank you for putting it together. I seem to be looking at baggage fees often since some discount airlines make you pay over $50 for a piece of luggage. Any recommendations on how to best seek out airlines that have free checked luggage? The best advice is to book the tickets in advance a month or before to get the cheapest tickets possible. Book cheap air tickets and get best deals on flight ticket bookings online to your favourite destinations around the world at Lowest Airfare. Search cheap airlines ticket at Cheapfaremart. 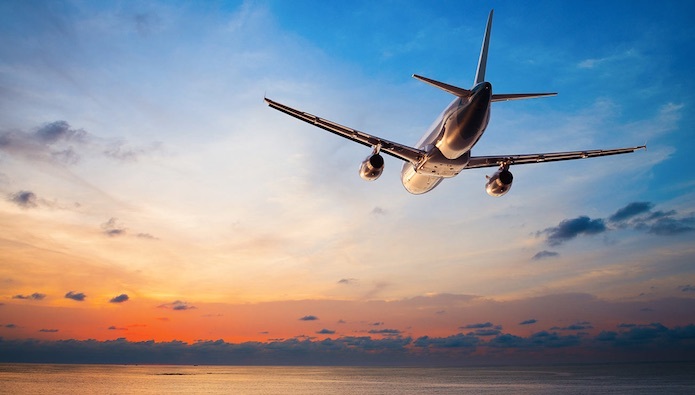 Excellent info on saving money with flight bookings. I mostly use Skyscanner and simply by changing the flight dates after the initial search even by a couple of days either way has saved money on numerous occasions.